[toc]Many people consider freckles to be cute and charming. But most people who actually have freckles might find them to be unsightly. Freckles are small and flat brown spots that are generally noticed around the nose and cheekbones. Some people even have freckles on their shoulders and upper arms. They are very sensitive to the sun’s rays and hence they become more prominent after sun exposure. There are a number of ways by which you can fade or lighten freckles. 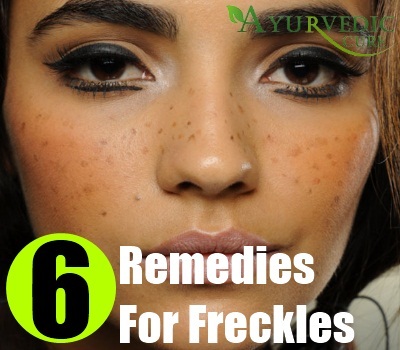 However, it is important to note that there is no natural remedy that can help you to completely get rid of freckles. Here we present to you some natural methods for fading freckles. Grate a radish (white or red) and squeeze the grated radish to extract its juice. Keep the juice aside. Peel and grate a small potato and extract the juice in a similar way. Now combine one part potato juice to two part radish juice and mix well. Soak a cotton ball in this mixture and dab the cotton ball over the freckles. Wash off after an hour. 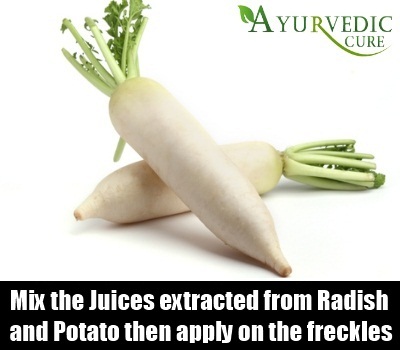 Both radish and potato contains enzymes that helps to lighten the skin. A well-known remedy for fading freckles and dark spots is to use lemon juice. For this remedy you need fresh lemon juice and not the bottled variety. Simply cut a lemon in half and rub the lemon over your face. 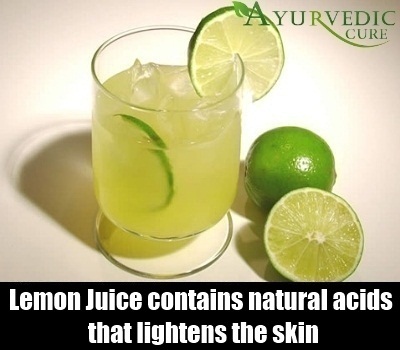 Lemon juice contains natural acids that lightens the skin. However, lemon juice also makes your skin more sensitive, so avoid stepping out in the sun afterwards. Steep a white tea bag in a cup of hot water for five minutes. Allow the tea to cool. 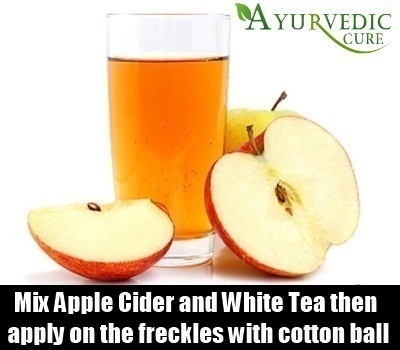 Now combine half a cup of this white tea with one-fourth cup of apple cider vinegar. Soak a cotton ball in this mixture and then dab it gently on your freckles. Rinse your face with water after 25-30 minutes. White tea contains antioxidants that nourishes and repairs the skin while apple cider vinegar contains alpha hydroxyl acids that removes dead skin cells and lightens skin. 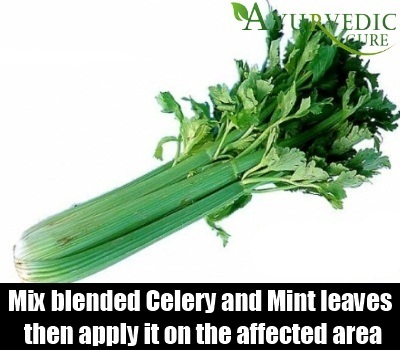 Blend a celery stick and half a cup of fresh mint leaves in a processor until you have a thick paste. Apply this paste over your face or any other area that has freckles. Allow the paste to dry before washing off with cold water. You will instantly see that your face looks brightened and the freckles also become lighter. 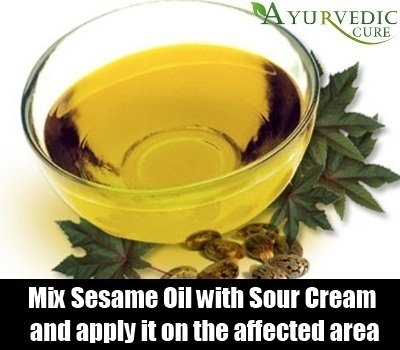 Combine two tablespoons of sour cream with a half a teaspoon of sesame oil. Mix well and apply this mixture over your face in an even layer. Wash off once the mask is dry. Sour cream contains lactic acid that will help in lightening freckles and dark spots. 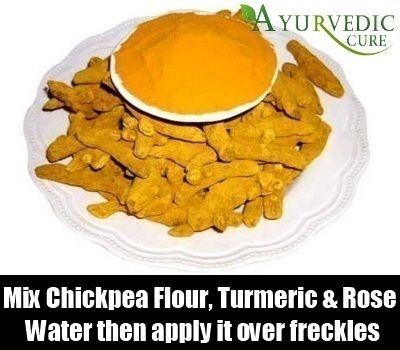 Combine 2 tablespoons of chickpea flour (besan) with half a teaspoon of turmeric. Add a bit of rose water to this mixture until you have a thick paste. Apply this paste over your freckles and allow it to remain for half an hour. Wash off with plain water. Regular use of this natural remedy will lighten freckles considerably. These were a few home remedies for fading freckles. Make sure that you follow these home remedies regularly to see results.